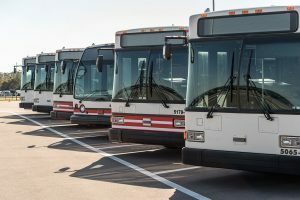 Whether you are a glass shop, a transit district or an original equipment manufacturer (OEM), Coach Glass offers a comprehensive inventory of windshields and side glass for transit buses, including subway and street cars. Coach Glass prides ourselves on our ability to meet the development needs of our original equipment manufacturing partners while supplying the aftermarket on their behalf. With four strategically located distribution centers, we can offer full logistical support by warehousing, packaging and shipping product when and where you need it. 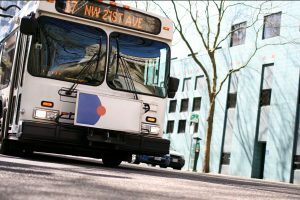 If you need a specialty windshield for a transit bus application, request a quote or reach out to us about our product offerings. We invite original equipment manufacturers to visit our Product Development page to learn more about our capabilities and to contact our engineering team. Looking for side glass or destination signage? We have a large inventory and if your needs are unique, we are always willing to manufacture something to meet them. We want to be the single source for all your glass needs, to make your procurement processes as easy as possible. Request a quote for your transit vehicle glass or contact us directly to order your destination sign today.